St. David’s Cricket Club returned to the venue where they won the Eastern County Cup just over a week ago and won the BCB Premier Division Twenty20 with a 7 wicket victory over the St. George’s Cricket Club at the Sea Breeze Oval. Batting first the St. George’s Cricket Club scored 184/6, Onias Bascome was the top scorer with 62 off 32 balls hitting 3 fours and 6 sixes, while Macai Simmons added 50 not out off 24 balls that included 2 fours and 4 sixes. 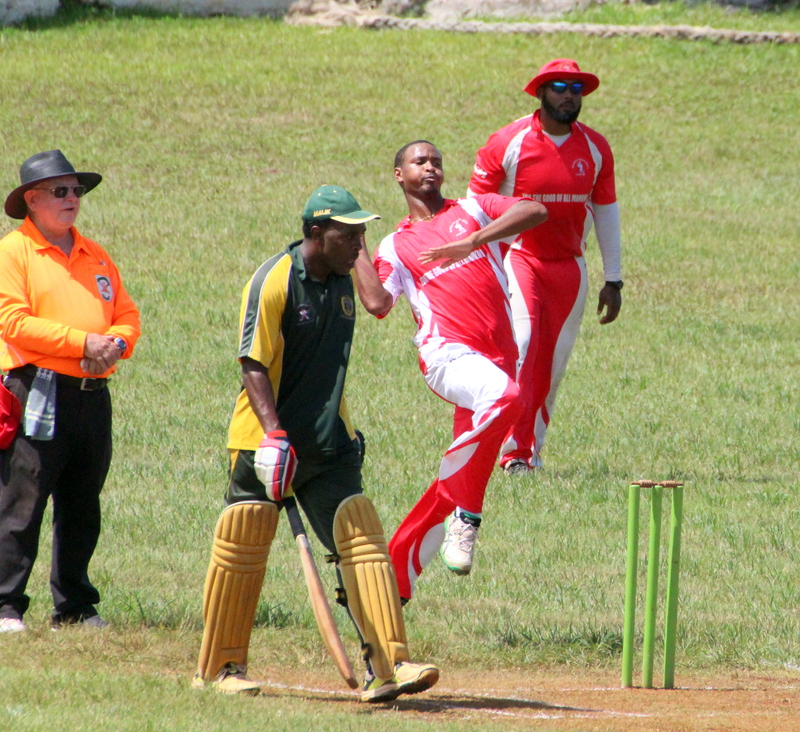 Rudell Pitcher was the pick of the St. David’s Cricket Club bowlers with figures of 4-0-22-2. In reply the St. David’s Cricket Club scored 187/3, Allan Douglas scored 74 off 29 balls that included 2 fours and 8 sixes, while Chris Douglas added 61 not out off 48 balls hitting 3 fours and 1 six. Simmons was the pick of the St. George’s Cricket Club bowlers with figures of 3.1-0-33-1. At the St. John’s Field the Southampton Rangers batted first and scored 128/9 in their allotted 20 overs, Ricardo Brangman was their top scorer with 36 off 32 balls, he hit 2 fours and 2 sixes, Seth Campbell was the pick of the Western Stars bowlers with figures of 4-0-21-5. In reply Western Stars scored 76/5, Seion Darrell was their top scorer with 25 not out, Hasan Durham was the pick of the Southampton Rangers bowlers with figures of 4-0-31-2, but the bowling statistics of Janeiro Tucker 4-0-08-1 and Dion Stovell 4-0-08-0 set the tone for the Southampton Rangers. In reply the Devonshire Recreation Club were bowled out for 104, Dennis Williams was the top scorer with 33 off 22 balls hitting 1 four and 3 sixes, Cameron Jeffers was the pick of the Warwick Workmen’s Club bowlers with figures of 4-0-11-3.